Allow yourself to be transported to a serene oasis without leaving home. The Premier 6636 whirlpool bath delivers high-end details and exceptional quality, making it the clear choice for discerning homeowners. 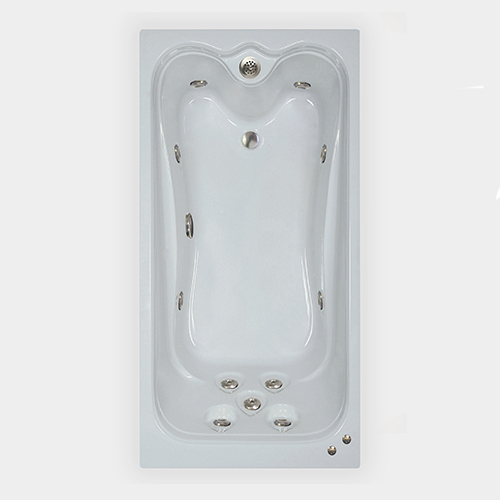 We’ve installed five adjustable recessed spa jets in the contoured back of this tub for optimal hydrotherapy massage. Like some of our other premium tubs, the Premier 6636 has rounded foot wells with two more jets along with four other body jets on the sides. A top of the line whirlpool pump with three different speeds adapts the jets to just the right amount of pressure. Its added length provides extra leg room for a taller bather, while its width is ideal for many bathroom floor plans. Up to 20% more water depth is achieved because of our Top Overflow drain. We use only genuine Lucite Acrylic for its enduring beauty and polished surface. 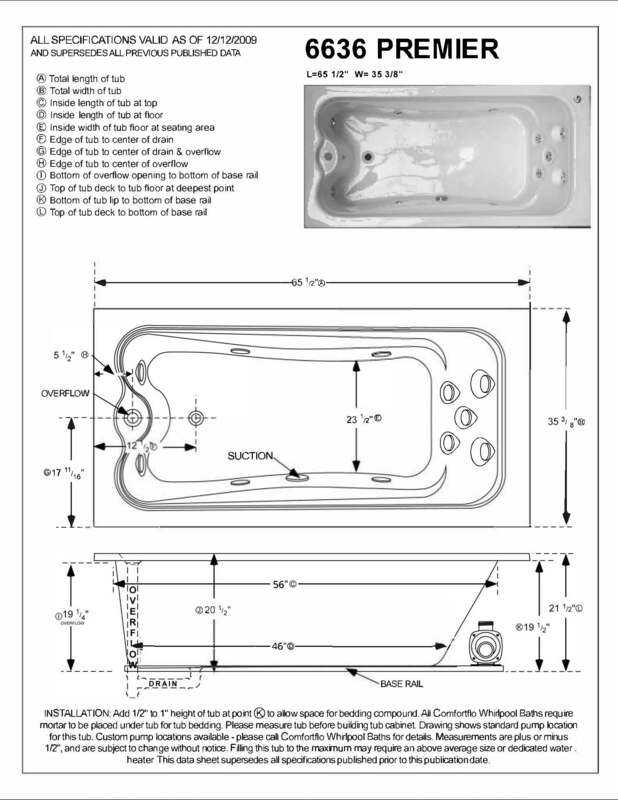 Personalize your tub by choosing your favorite finish for the acrylic bathing well and the drain and hardware. Dimensions: 66” x 36”•	Made in the U.S.A.